Recently I have found myself addressing the subtle question of gender when speaking about Rachel Carson’s legacy. How much was gender a factor in the attacks upon her science in Silent Spring and her efforts to warn us about the pollution of our total environment? And how much is Carson’s gender still a factor fifty years later in the myth that has been created by her critics? It is a question on which I frequently find myself much energized about! Colborn and Sandra Steingraber in particular, the 50th anniversary of Silent Spring has been an occasion when Rachel Carson is highly identifiable, but ironically her legacy is now more bitterly debated than ever. Her careful work remains controversial and she herself has been made the center of debate and myth. She would be very surprised by these distortions and by the claims about her and that have encouraged them. Part of that controversy revolves around the historical question of what response Carson hoped for and what specific remedies she advocated to mitigate the misuse of pesticides and the pollution of our total environment? Photo by Bob Hines, 1963. Carson suggested to these women’s groups ways to reinstate a sort of old school libertarianism where citizens could publically question what their government allowed to be put into the environment. In each speech, she included new evidence of pesticide misuse. But in neither speech did Carson call for any sweeping federal regulation of pesticides - no “ban” on DDT - nor did she do so in her Senate testimony. Rather Carson made it abundantly clear that she believed that the federal government was part of the problem and that it, the science establishment, even university research, was in the pocket of the agrichemical industry. Rachel subtly suggested the then radical idea that government officials might even lie if it was expedient to do so. Carson’s critics used gender to trivialize Carson’s research and her synthesis of ecological harm. The male establishment knew that a woman without a Ph.D., whose fame came from her lyrical nature writing, was vulnerable to attacks from the keepers of Cold War science and industry. They knew that labeling her an over-wrought silly woman who had overstepped her bounds and exaggerated her evidence would convince. It did convince some --and it sometimes still does. But these critics did not count on the deeper impact of Carson’s work – that beyond the issue of the misuse of chemical pesticides Carson was addressing the fundamental right of human and non-human life to continue. Silent Spring has had a far reaching impact on the global environmental consciousness, on the human and non-human environment, and for human rights everywhere. The 50th anniversary of Silent Spring is also an occasion for celebrating Rachel Carson’s singular “witness for nature” as well as her personal courage in “speaking truth to power.” Her book and her personal legacy are and remain a singular manifesto for democracy everywhere. 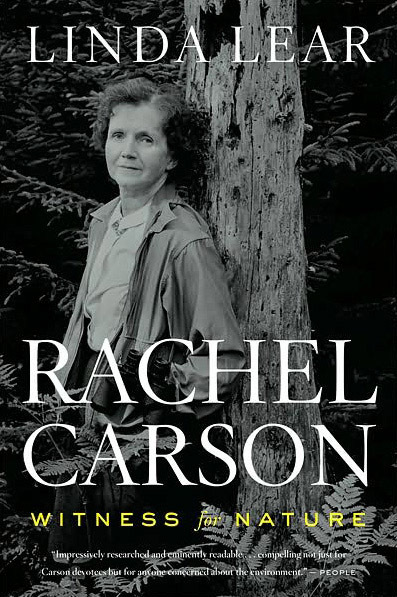 The issue of gender regarding Rachel Carson's work comes up frequently in public discussions of her work. 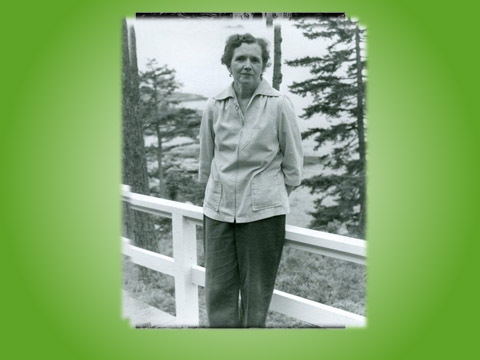 Most lately the question emerged at the Rachel Carson Legacy Conference where the American Chemical Society designated Silent Spring as a National Historic Chemical Landmark. The discussion there noted that at the time of her writing Silent Spring, there were few prominent women scientists in the public eye. Rachel Carson stood out as a groundbreaking model for women not only as a writer and scientist but as a citizen taking action and demanding accountability from the government and from industry on behalf of the general public. After her testimony to Congress, as noted by Linda Lear above, the environment and non-human living creatures became stakeholders to recognize explicitly in public policy. Rachel Carson herself did not use her gender as either an excuse or a bully pulpit. 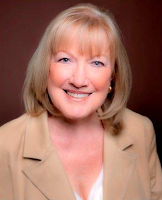 She simply acted on her convictions and expected to be believed and respected as the professional that she was. Her words and her analysis stand the test of time and resonate to this day because of her thorough and eloquent expression of systems thinking. Gender is not relevant in determining the power of her work. 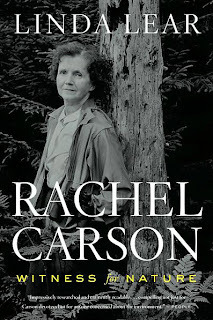 There is a line from “Lost Woods,” a book Dr. Lear mentioned as leaving us with a lasting impression of Rachel Carson’s early speeches regarding “Silent Spring.” It shows her tenderness, the appeal that all life had for her. She mentioned a one-legged sanderling and her heart aching to watch his struggle, yet “cheerfulness of spirit and a gameness which must mean that the God of fallen sparrows has not forgotten him.” In the mid-20th century, sensitivity to the plight of an injured animal could’ve been easily associated with a female author, but both Einstein and Leopold made similar compassionate statements about the creatures among us. They were of Carson’s era and may have influenced her thoughts. She, in turn, had an exquisite power of words and the curiosity and endurance of a professional. We cannot remove Rachel Carson from the context of her generation, a time very much like ours, where startling revelations were a challenge to face, let alone describe. She understood what it would take to reach across a nation, a world, for generations to come, and now, 50 years later, she still succeeds. Thank you, Dr. Lear, for leading this important discussion. Your remarks about gender bias in the criticisms of Rachel Carson, especially by her contemporaries, made me wonder how such biases function in the 21st Century. Have Sandra Steingraber’s writings, for example, met with similar attacks on her viewpoints? A quick look at reviews of her first book, Living Downstream (1997), reveals much praise for her work’s eloquence and integrity but one scathing review in the New England Journal of Medicine attacks trivialized her as emotional, biased, and fear-mongering—very similar rhetoric to the gender-based attacks on Carson. Notably, the author of that negative review was a toxicologist for chemical giant, W. R. Grace. Do you think that gender bias influences public perceptions of works about climate change, such as Elizabeth Kolbert’s Field Notes From a Catastrophe or Amy Seidl’s touching memoir, Early Spring: An Ecologist and Her Children Wake Up to a Warming World? Do they receive different critical treatment than, for example, McKibben's Eaarth or Mark Hertsgaard's Hot: Living Through the Next Fifty Years on Earth? Excellent post. Linda Lear makes an important point that many of Carson's critics a half century ago resided within a "male establishment." Rachel Carson was not invisible to the men who ran the chemicals industry and their allies in government, but they sought to trivialize her so as to make her invisible to the public. Carson was attacked for being "one sided" in "Silent Spring," and it was suggested she was also an agent of the far left, possibly a Communist intent on undermining American agriculture. Her demand that the government more closely regulate pesticide use was seen by her detractors as fundamentally un-American. But the most telling accusation was that Carson was "hysterical," a code word that would never have come up had Carson been male. Linda Lear powerfully and succinctly writes of the gender bias that fueled public criticism of Rachael Carson's science. old-rolled products continued with dependent attitude tiles luminary, the Zhuo Yue goods je sais quoi and original describe courteous Demigod Toru honor global. Уже в этом году популярнаяигрушка среди нескольких поколений Counter-Strike собирается отмечать свой можно сказать «юбилей» - 14 лет. Между прочим, она является одним из самых любимых шутеров, и пользуются ею огромное количество человек ежедневно со всего света. И если раньше вы не могли скачать Контру в Интернете в свободном доступе, то сегодня, например, на нашем ресурсе, вы сделаете это без труда. И что главное – совершенно бесплатно. Между прочим, история ее создания была очень интересной и весьма оригинальной. Так, в конце 20 века двое известных разработчиков приступили к разработкам. И мало кто знал в то время, что буквально через несколько лет игра станет столь известной по всей Земле. Правда, у одного из руководителей проекта, имеющего прозвище «Гусятник», уже был похожий опыт – известная игра «Quake 2». В марте того же года разработка получила свое название, а первая пробная версия вышла уже в начале лета. Тогда все пользователи ринулись ее опробовать, и интерес к игрушке не истек до сегодняшнего дня. А все потому, что пользователи, которые так ее любят, имеют все, что нам пообещали авторы. Теперь вы сможете скачать Контру на нашем портале без проблем, прохождения регистрации и без внесения средств. Health officials haven't revealed more details about the young man or whether he had an underlying health condition. The majority of serious illness and deaths have been seen in old, already sick men.